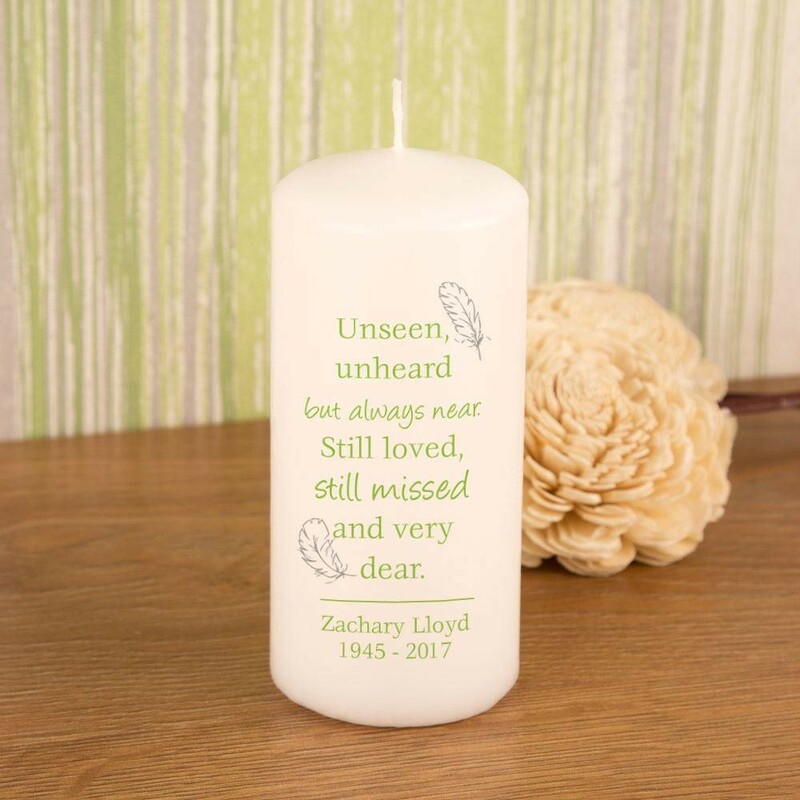 A memorial candle makes a gentle reminder of someone so dearly missed. 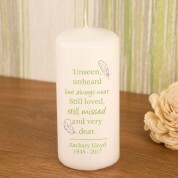 The heart warming message and may be a comfort to them as they light the candle and fondly remember their loved one. It is bespoke designed for each customer and features a name and special date/s. 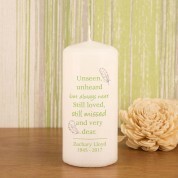 The short verse reads “ Unseen, unheard but always near. Still loved, still missed and very dear”. 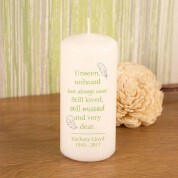 Soft feathers cradle the text and add a special finish to the design.